I’m sure by now everyone is aware that Google invested in Waze and that ridesharing apps (such as Grab and Uber) use Waze to navigate around the city. But I bet majority of us didn’t know that Google maps is now integrated with these ridesharing apps, not just Waze. It’s true! Let’s conduct an experiment. Open Google Maps on your phone. It should look something like what you see on the left whether you are on an android or iOS device. If you have your GPS on it will automatically center on your current location. In the white box on top search for your destination. 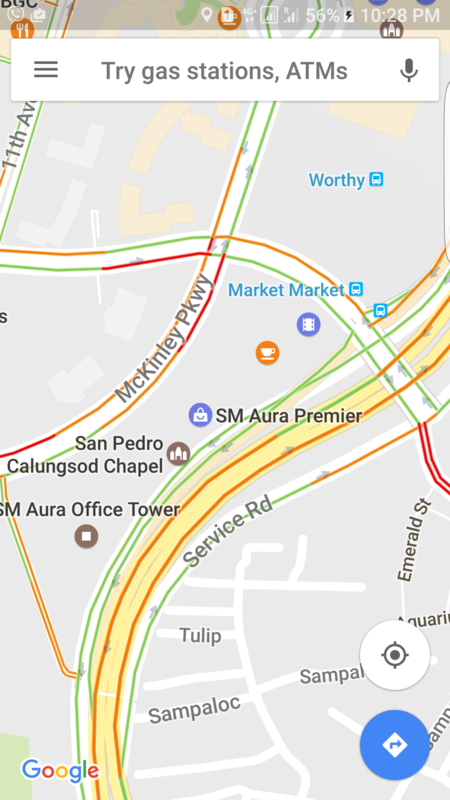 For this example I chose SM Aura Premier as my current location and UP Town Center as my destination. Google Maps will now look like the image on the right. and then an icon of a guy hailing a ride … this is the icon for the ridesharing option. It not only displays the apps, it also shows the estimates for each type of ride, including the surge. Side note: I don’t like the surge but I understand the need for it. I only wish it wouldn’t go up so high. But then, all it takes is patience. I just wait for it to go down to a reasonable amount and then I book a ride. By default it will display the options for UberX and UberPool. As you can see the rates are slightly different but close enough, really. Side note: I often opted for UberPool when I am traveling alone or with just one other person unless I have several items with me, which means it will inconvenience other people when I have to load and unload which will take time. In that scenario I choose UberX. I’ve never used UberHop … mostly because pickups and dropoffs are not to places I come from and go to. By default it will display Grabcar sedan, but as you can see, we do have the option to still choose our ride option. The rate is slightly higher than the estimate. Side note: Sometimes, Grab rates are cheaper … but it is really just sometimes. 🙁 More often than not they turn out more expensive but when Uber surges, BOY do they surge and at those times it is often wisest to choose Grab. One other advantage to using Grab is they issue promo codes more often … from P50 discounts and up. 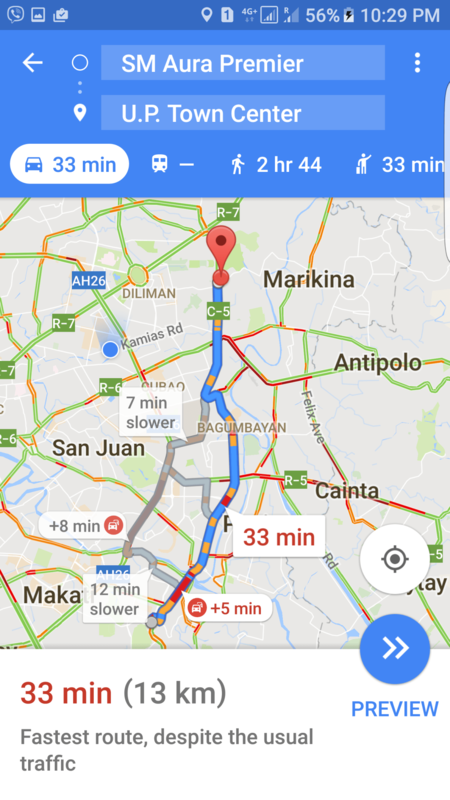 With the integration of Google maps and ridesharing apps choosing between Grab and Uber is now an easier decision to make. Should I take Grab or Uber on my trip? I think I will let Google maps help me decide. How about you?